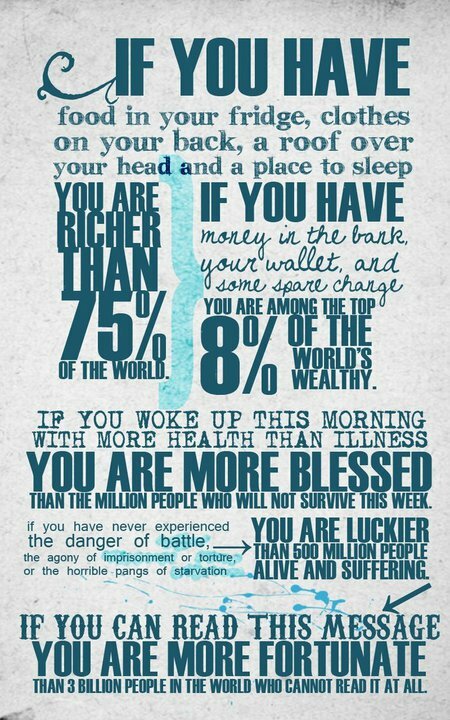 I am rich, wealthy, blessed, lucky, fortunate…. – Journey to my heart…. I am rich, wealthy, blessed, lucky, fortunate…. How we need to be reminded! Thanks! Previous Previous post: It used to be exciting to purchase a new car…. Next Next post: Honest Communication….